Check out photos, awards and more from our recently held events! 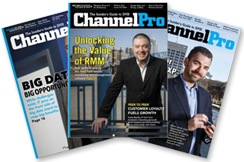 ChannelPro is proud to offer these workshops for integrators looking to improve their business. All workshop attendees are invited to return to the hotel the following morning and join us for the ChannelPro SMB Forum. The Baltimore / DC Metro ChannelPro SMB Forum was a full-day live event and featured presentations from some of the top SMB resellers and managed service providers in the country, sharing their insights on the hottest tech solutions in the SMB marketplace today. The Dallas ChannelPro SMB Forum was a full-day live event and feature presentations from some of the top SMB resellers and managed service providers in the country, sharing their insights on the hottest tech solutions in the SMB marketplace today. The Long Beach ChannelPro SMB Forum was a full-day live event and feature presentations from some of the top SMB resellers and managed service providers in the country, sharing their insights on the hottest tech solutions in the SMB marketplace today. The Chicago ChannelPro SMB Forum was a full-day live event and feature presentations from some of the top SMB resellers and managed service providers in the country, sharing their insights on the hottest tech solutions in the SMB marketplace today. The DC Metro ChannelPro SMB Forum was a full-day live event and feature presentations from some of the top SMB resellers and managed service providers in the country, sharing their insights on the hottest tech solutions in the SMB marketplace today. The ChannelPro SMB Forum: Dallas was a full-day live event and feature presentations from some of the top SMB resellers and managed service providers in the country, sharing their insights on the hottest tech solutions in the SMB marketplace today. The New York/New Jersey Metro ChannelPro SMB Forum will be a full-day live event and feature presentations from some of the top SMB resellers and managed service providers in the country, sharing their insights on the hottest tech solutions in the SMB marketplace today. You MUST attend! Sweet home Chicago! The ChannelPro SMB Forum Channel Therapy Tour is excited to finally be coming to the Midwest! We have the cure for what ails you! Join ChannelPro near our nation's capitol for our first event in 2015! The Philadelphia ChannelPro SMB Forum was a full-day live event featuring presentations from some of the top SMB resellers and managed service providers in the country, sharing their insights on the hottest tech solutions in the SMB marketplace today.